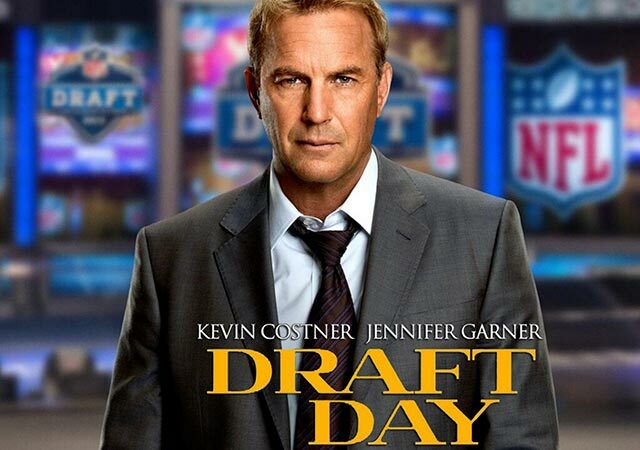 For the fourth installment I chose Draft Day. This movie has been sitting on my shelf, in my “to be watched” pile since it’s release. But much like the “to be read” pile beside my bed, that pile just keeps getting higher and higher and this one keeps getting further from the top. Synopsis: Sonny Weaver, Jr. (Kevin Costner), the general manager for the Cleveland Browns has to figure out the best decisions for the team- including whether he should take Bo Callahan, the number 1 draft pick… And there’s a substory about a pregnancy (with Jennifer Garner’s character Ali) that I guess is supposed to demonstrate that Sonny has a lot on his mind on draft day. Oh, and… his father, the team’s former couch, recently died and there’s a substory about that too. Why I chose this film: To be honest… I miss Tom Welling. I miss him being on my TV every week, and that’s brought me to picking up the titles that slowly come out starring him. But then they go in that pile and slowly get watched years later. I mean… I am more likely to rewatch Smallville than I am to actually watch a new movie (which is one of the many reasons I started this series!). Additionally, though I am barely a football fan, I have been enjoying the sports movies of the last decade or so. I was disappointed in how little of the film Tom was in, though. Still nice to see him. However, I will accept that I had a surprise David Ramsey (Diggle on Arrow) pop up. I had no clue he was in this. Will I watch it again: You know what? I might. I have no clue if the BTS of the NFL draft stuff was realistic (the trades and how a player is picked…) but it was interesting. And I really enjoyed the cast! I was quite amused that it stars Kevin Costner, who recently played Pa Kent in Man of Steel, with Tom Welling, who was TV’s Clark Kent, and also Frank Langella, who was Perry White in Superman Returns. I’m sorry… that’s funny. I would’ve enjoyed maybe a little more time with the players… but that wasn’t the point of the story. Why you should watch it too (or run far away! ): Though directed by Ivan Reitman, this film may not be for everyone. If you like sports movies about sports… you may not like it. And because there isn’t actually any football in the movie, it’s a little slow. And the substories are a little on the tropey side, but they work. ← DC TV Recap Round-up Premiere!